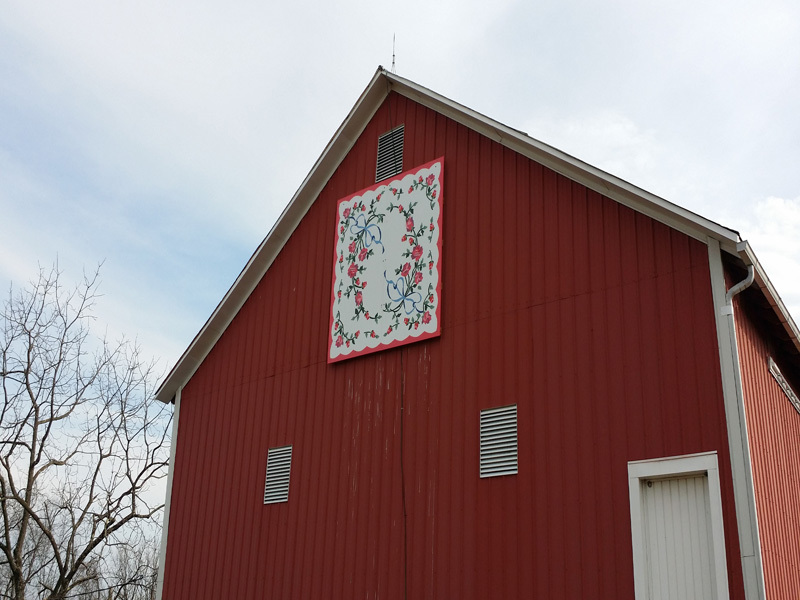 Grandma's Rose barn quilt, located at the Brown farm, is a replica of a family heirloom. The Rose quilt was made by Almeda Keith, daughter of Nellie and Himmel Brown. Almeda grew up on the Brown farm and later moved just up the road where she lived with her husband Melvin Keith. Almeda's favorite color was pink and she especially loved roses, making this quilt a true work of love. The Brown farm, located on North Hess Road in Hustontown, has been in the family since the early 1900's. Today it is owned by Himmel and Louise Keith and their children Tammy Keith and Cindy Gelvin.